As regular readers will know I believe a good walk always features cake. So it’s probably no surprise that our weekend walk included afternoon tea at a church. 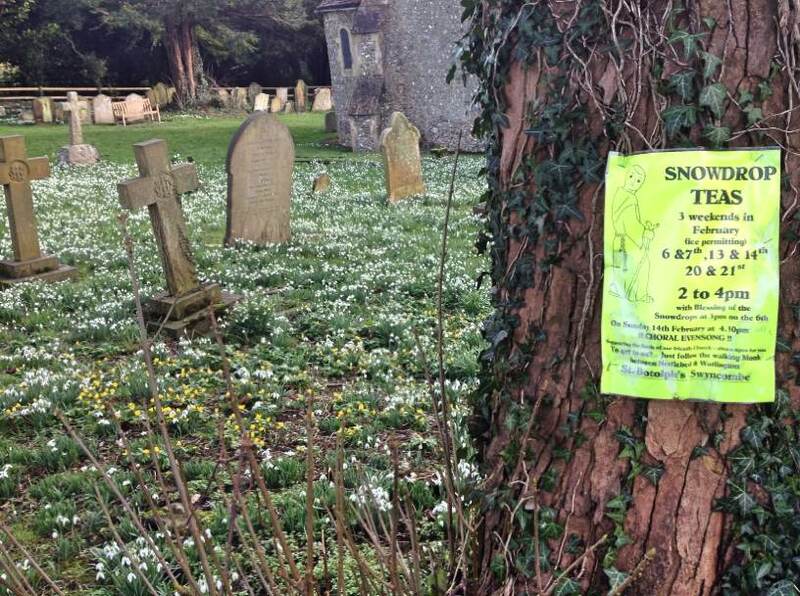 Most visitors were probably there for the main event, snowdrops in the churchyard, but not us. Instead I’d chosen a longer walk with a cake stop halfway round. We left the car, rather nervously, in a small car park a couple of miles from Swyncombe. Last time I parked there I returned to find someone had smashed the window of the car next to us. Fortunately there were plenty of people around this time, hopefully enough to deter anyone up to no good. The first part of the walk took us steeply uphill through woodland, out on to Swyncombe Down. Although I’d planned for cake we’d also bought sandwiches so we ate these, sheltering from the wind, in amongst the trees. We didn’t hang around as it was freezing; I am so looking forward to summer picnics again. The path runs alongside an earthwork topped with large beech trees. 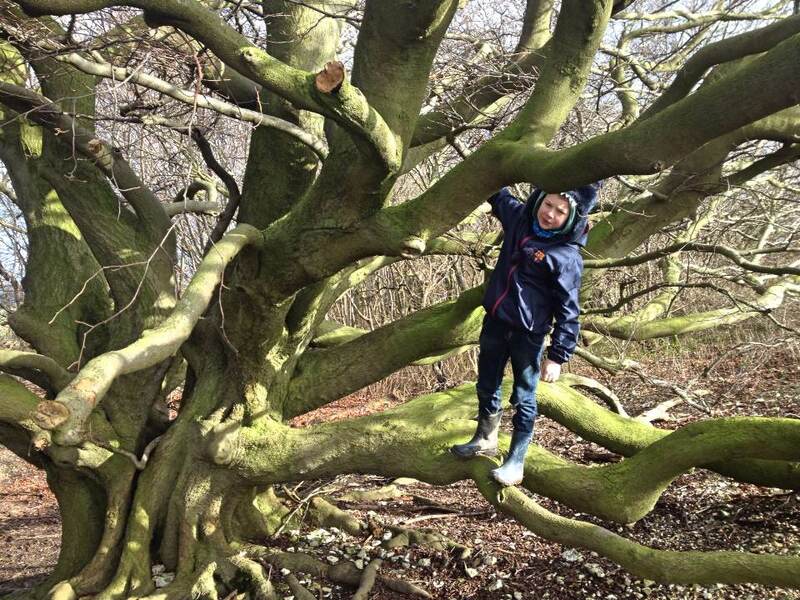 These had multiple branches as a result of pollarding many years ago; perfect for climbing. The earthwork, a trench called the Danish entrenchment, wasn’t much to look at but supposedly dates back to 870AD when the Danes were fighting King Alfred in the area. A little further on the path joined the Ridgeway, our local long distance trail, taking us downhill and up again to St Botolph’s Church at Swyncombe. The chuchyard puts on a good display of snowdrops each February and visitors are encouraged to visit with the lure of snowdrop teas. 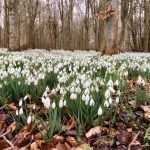 A couple of years ago we visited Welford Park (of Great British Bake Off fame) which has huge swathes of snowdrops and is packed with visitors. The snowdrops at Swyncombe are on a different scale as they only cover a small proportion of the graveyard but they’re still very pretty. The warm winter weather has encouraged the snowdrops to flower early this year and I was glad we’d chosen to visit at the start of the month as a few were already starting to go over. It’s a little strange walking around headstones and taking photos in a graveyard but the snowdrops do look lovely. 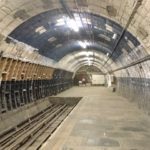 Whilst I’m not in a great hurry to be buried anywhere I can certainly think of worse places! 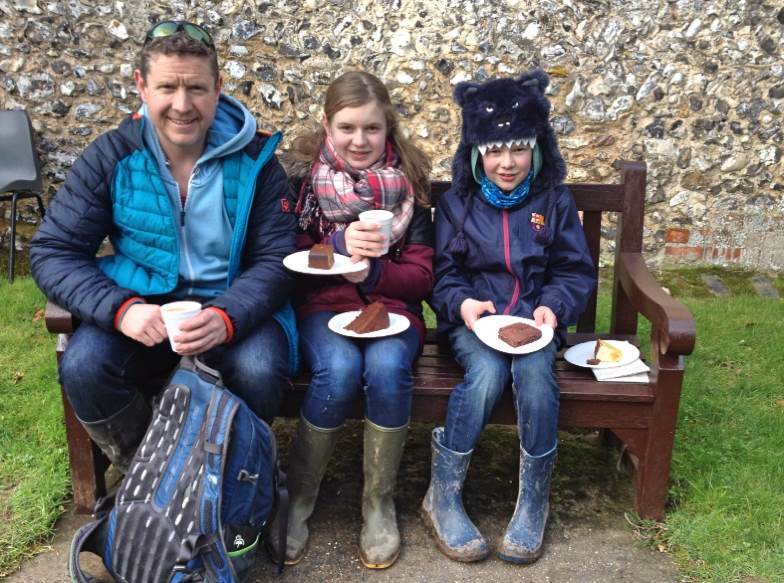 After a wander around the snowdrops it was time for cake. It was a hard decision but eventually we chose orange cake, chocolate sponge, brownie and gingerbread between us. We sat outside to enjoy them before heading into the church for a look through their second-hand book stall. Leaving the church we rejoined the Ridgeway. Another uphill stretch had us puffing and panting, good job we had the cake to power us! Part of the route goes through woodland and every year I’m amazed by how much moss covers the tree trunks in this particular area. In previous years we’ve just walked a short circular route around the church so this year it made a change to turn right at the top of the hill rather than left. It was lovely chatting to my son as we walked. When he’s at home he’s often buried in technology but there’s no option to do that outdoors. Instead he chatted happily about Star Wars (he’s seen the film twice) and Nerf YouTubers. Whilst I’m not knowledgable about either of these topics I could at least answer some of his random questions, including ‘Do bones go rusty?’. Who can resist walking through puddles? Our route back to the car took us along broad bridleways, with views out to the remaining towers of Didcot Power Station. The sun was slowly disappearing behind the clouds but there was still fun to be had. 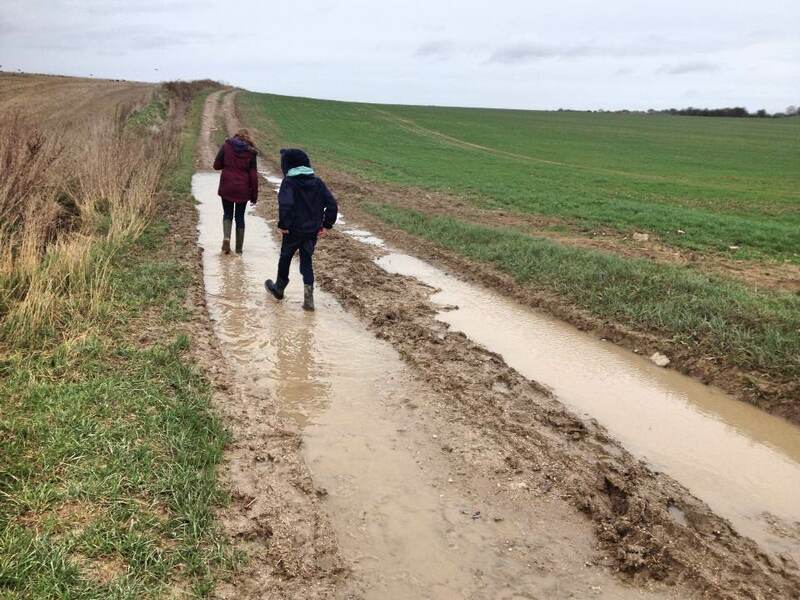 The kids waded through the big puddles and I joined them on one occassion, only to find out that my ageing wellies had developed a split thus letting water in. Fortunately our car, and all its windows, were still intact when we arrived back. Even better was that the rain started to fall just as we returned. Perfect timing! 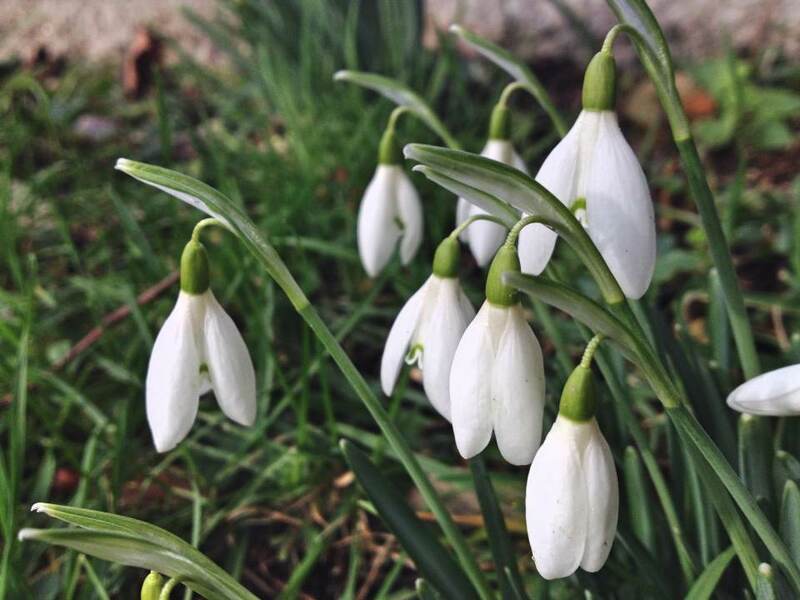 Snowdrop teas at St Botolph’s Church in Swyncombe take place over three weekends in February. Dates are advertised on the church website. Snowdrops are so beautiful. 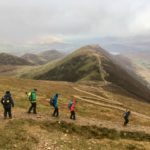 I know exactly what you mean about chatting to your children – I sometimes feel our most meaningful conversations are when we are out walking. No technology distractions on walks (thank god)! I love it when he chats away because half the time I don’t get much info from him. 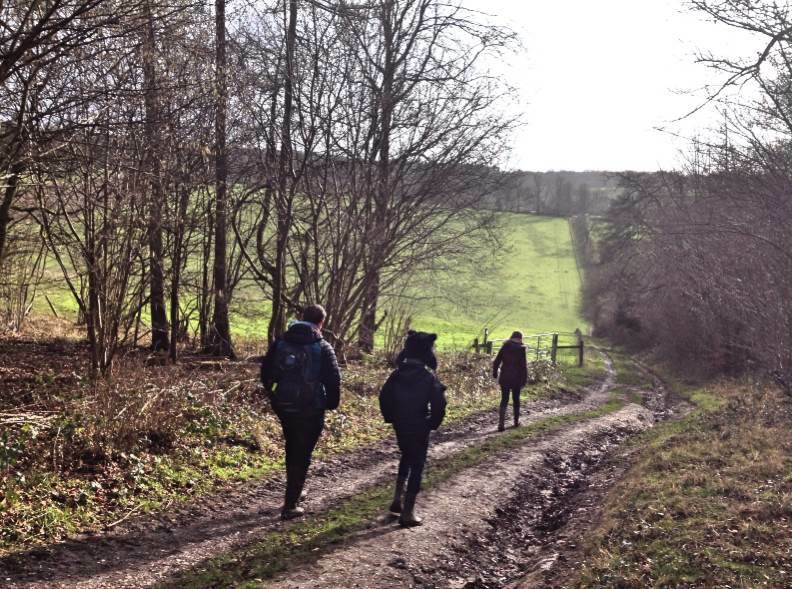 It sounds like you all had a fab day out exploring together, it’s great that you explored a slightly new route. 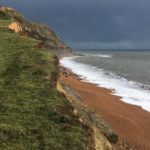 It’s lovely that you had a chance to chat to your son whilst out exploring, I usually have to take mine on a cliff walk to get their attention off of their gadgets. The snowdrops in the graveyard really do look beautiful, we’ve got smatterings around the farm and it’s lovely to see them. Thanks for linking up with me on #CountryKids. I do worry about gadget use. The only time I seem to get mine off them is when they’re physically away from the house (wifi). It’s been a bit different this year with daffodils flowering early but I think snowdrops are special as they show that spring isn’t too far away. Hi Christine, the snowdrops look lovely. They are such delicate flowers. What pointless vandalism, smashing car windows, I bet they never caught who did it either. I like your style, walking with cake in mind. I’d have probably gone for all three two (and probably not shared). Hope there weren’t too many books you fancied as I wouldn’t fancy carrying them back to the car. My other half chose a couple of books and fortunately he was carrying the day sack. I’d have felt a bit guilty if I’d picked up some big hardbacks! Cyclamens are lovely too. A lot of people have them as houseplants but I love seeing them in the wild. Agree, summer cannot come soon enough! This is a great thing to do during February – such a cold miserable month, unless you get out into the outdoors and do something like this! Everything seems to look grey in February, I’m so looking forward to seeing flowers and green leaves again! Thank you Tanja, it was. 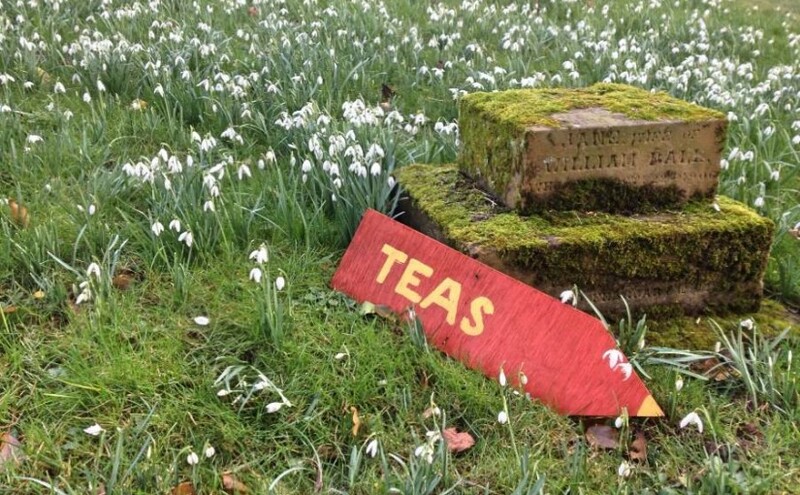 Snowdrops and cake in a cemetery – only in England this seems perfectly wonderful! 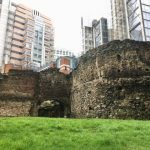 Love how you include little bits of history about the places you pass on your walks. Thanks Kriss. Our local churchyard often has afternoon teas too so it seems natural to be sitting around tables in between the gravestones! Looks like a beautiful walk and I loved your point about being able to “converse” with your son sans gadgets. Sadly oh so true for all of us! Thanks Corey. I guess many parents are just as guilty too. How awful that someone do these kind of stuff, out of nowhere of they wanted to rob the car? You make me want cake!! Rural crime tends to go unreported a lot of the time but it’s surprisingly common, particularly in picturesque car parking spots.